Ref: Three sided Roll container. Three sided nestable ‘A’ frame roll container of tubular construction with rod infill in two sides and back. (Front completely open). 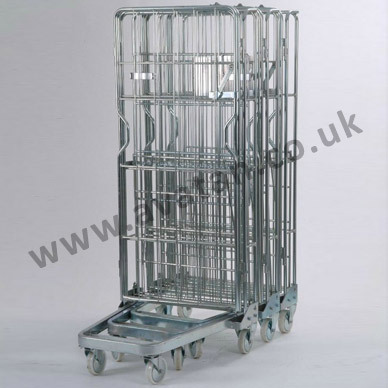 Roll cage pallet mounted on 2 fixed and 2 swivel 125mm diameter nylon castors. Finished in bright electro zinc plate. 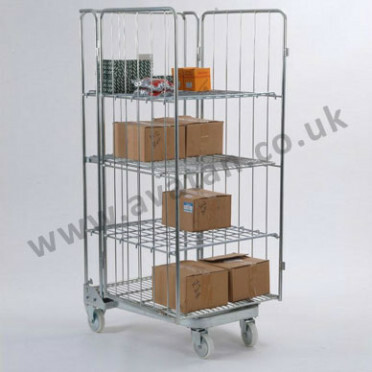 Roll cages may be supplied with integral hinged shelf or up to three removable shelves. 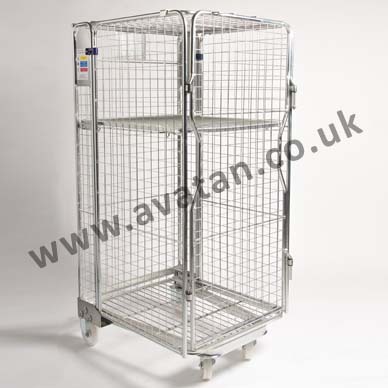 Available with optional string guards and brakes on swivel castors. May be transported economically in nested condition with up to 150 units in a 45′ trailer. Nested length – 1 unit 860mm, 2 units 1090mm adding 230mm for each additional unit. 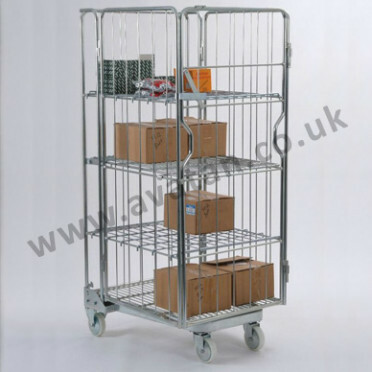 Roll containers are generally stock items available for immediate despatch.